Finish: A wire-brushed, artisan, light natural finish with reclaimed character is on exotic beautiful Acacia wood, known for its rustic charm, tactile hand, knots and color variations in serence organic hues of gray, rose and natural. Burnished bronze hardware. 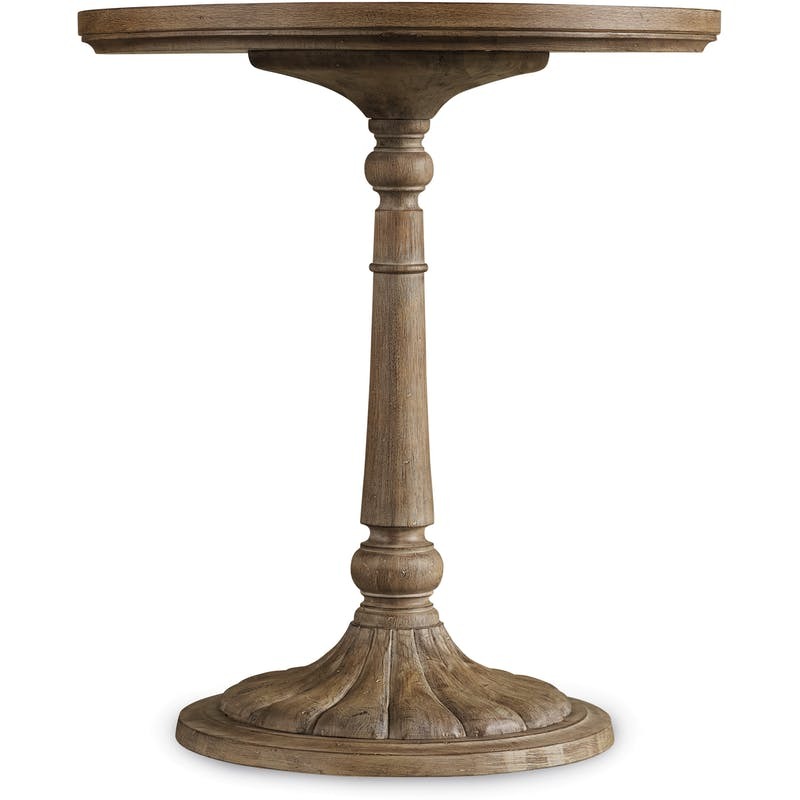 Click here to receive email quote for Round Bedside Table item.